A book about choices. 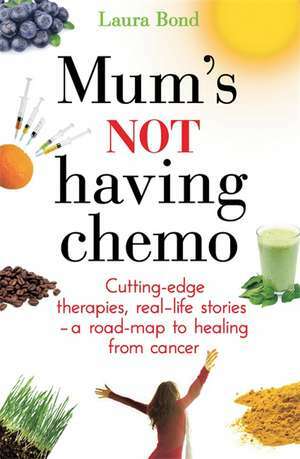 A book to empower all cancer sufferers and their families. In March 2011 Laura Bond's mother Gemma was diagnosed with ovarian and uterine cancer. Laura discovered that the only thing more shocking than telling someone your mother has cancer was revealing that she had declined chemotherapy. But, according to studies, many oncologists would do the same. So Laura, a journalist, started writing a blog to explain her mother's decision to say 'no' to mainstream medicine and 'yes' to hydrogen peroxide, vitamin C injections and infrared saunas.